Gather your ranks, your townsfolk, your fearless leaders, and your foes for a fun and energetic game night at Verdant Tea! 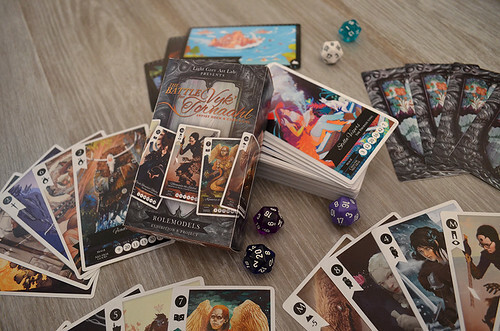 For this event, Light Grey Art Lab is combining forces with Verdant Tea to host an open tabletop gaming night! 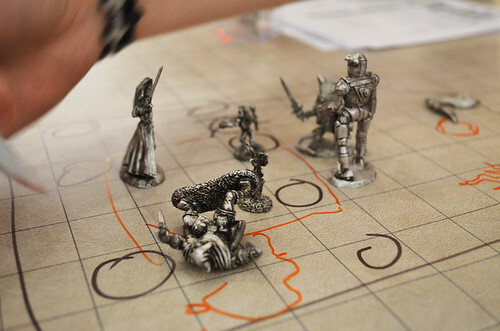 Everyone is welcome, and participants are invited to learn the brand new collaborative artist game, Rolemodels: The Battle for Vyk'Tornaahl, Pathfinder, D & D, Labyrinth, and more! Stop by from 7-9pm. "More than a tea house, Verdant Tasting Room and Tea Bar is a cafe, neighborhood hangout and collaborative event space, all-in-one. Whether you’re meeting friends over a cup of tea, enjoying seasonally inspired breakfast and brunch, attending morning meditation and qigong, or indulging in local ice cream and chocolate, you’ll find our doors open, ready to welcome in new friends and neighbors."